We are just one day out from New York Comic-Con, and if you plan to be in the Big Apple this weekend, be sure to stop by booth #2010 to find the SIUniverse at our joint booth with Epic Proportions! It’s a bittersweet occasion since Jerry has announced this will be his last con as an exhibitor. But don’t fret! You’ll still find him in Artist Alley in the near future. In the meantime, we’re going to help Jerry go out in style and make this the biggest con ever for SIUniverse and Epic Props! THE STUNNING FOLLOWUP TO THE ACCLAIMED GRAPHIC COLLECTION OF ORIGINAL ASIAN AMERICAN COMIC BOOK STORIES! Now, three years later, the team behind Secret Identities is back with a new volume — bigger, bolder and more breathtaking in scope. Like the groundbreaking original, the next incarnation of Secret Identities unfurls an ingenious “shadow narrative” of the Asian American experience, set against the larger-than-life canvas of the comic book cosmos. But while the first collection focused on the conventions of superhero comics, its sequel expands its horizon to include edgier genres, from hard-boiled pulp to horror, adventure, fantasy and science fiction. Using this darker range of hues, Shattered seeks to subvert — to shatter — the hidebound stereotypes that have obscured the Asian image since the earliest days of immigration: the stoic brute, the prodigious brain, the exotic temptress, the inscrutable alien, the devious manipulator. Creators included in the eclectic and impressive lineup include leading Asian American comics creators such as Gene Yang (National Book Award finalist for American Born Chinese), GB Tran (Vietnamerica), Christine Norrie (Hopeless Savages), Sonny Liew (Malinky Robot), Larry Hama (G.I. Joe), Cliff Chiang (Wonder Woman), Bernard Chang (Supergirl), Sean Chen (Iron Man), Greg Pak (The Hulk), and Takeshi Miyazawa (Runaways), as well as film and literary standouts such as Jamie Ford (Hotel on the Corner of Bitter and Sweet), Michael Kang (The Motel) and Tanuj Chopra (Punching at the Sun). The original graphic short stories they’ve crafted cover topics from ethnic kiddie shows to China’s AIDS policy to air flight security procedures; from the untold backstory of Flash Gordon’s nemesis Ming the Merciless, to the gritty reality of a day in the life of a young Koreatown gangster. The first book has become a must-read book for fans of graphic storytelling — Graphic Novel Reporter called it “entertaining, provocative and powerful,” while Eclipse magazine gave it an “A” grade and called it “tremendously rewarding.” But it’s also been widely adopted as course material in ethnic and cultural studies programs as a unique lens on the frequently overlooked history of Asian America. Shattered is poised to join its predecessor as a contemporary classic of the graphic novel form, incorporating thrills, chills and delight while exposing the hidden issues and vital truths of the nation’s fastest growing and most dynamic community. Jeff Yang, the founder of the pioneering Asian American periodical aMagazine, writes the Tao Jones column for the Wall Street Journal and is a frequent contributor on NPR. He lives in Brooklyn, New York. Parry Shen, best known for his lead role in the hit MTV Films movie Better Luck Tomorrow, lives in Southern California. Keith Chow, an educator and writer, lives in Maryland. Jerry Ma, the founder of the design studio Epic Proportions, lives in New York City. I inherited my love of comics from my dad. He was a huge Marvel fan and when my brother and I found his old collection of Iron Man, Spider-Man, and Thor comics, we were hooked. It never really occurred to me as I was growing up, but as I was about college age, I noticed that my favorite comics lacked heroes that looked like me. Though many of my favorite titles were drawn by Asian artists, there were hardly any Asian heroes in the pages. I was pretty disappointed, but the revelation didn’t put me off comics. In fact, I expanded the types of comics I collected because the super hero genre just wasn’t holding up. I figured that this was going to the be the state of things. Then a few years ago, I heard about an anthology that would feature Asian American super heroes, Secret Identities: The Asian American Super Hero Anthology. I ordered a copy of Secret Identities and waited with great anticipation. Would this be the Asian American equivalent of the Milestone Universe, a super hero universe featuring Black super heroes created in the early 90s. Would this anthology encourage the big two to feature more Asian American heroes? I conjured all sorts of hopeful maybes. It arrived at my doorstep and I tore into the packaging like a mad wolverine to get to its contents. I couldn’t wait to read about super heroes that looked like me. But as I turned the pages, I felt my brow furrow. These weren’t hopeful stories of heroes doing super human deeds. These were angry stories that sought to punish the White Man for years of oppression. To be fair, not every story came from a place of anger. But the overall vibe of the collection was so angry and bitter that I hid the thing in a dark place on my shelf. I couldn’t recommend this to my non-Asian friends for fear that they’d feel like they were being attacked. I mean, I’m a pretty angry and bitter person in general, but even I felt put off by the overall tone. These weren’t the heroes I was looking for. These weren’t the stories I had been waiting for. Needless to say, I was a bit hesitant when the Secret Identities crew contacted me earlier this year to contribute to their second anthology, Shattered: The Asian American Comics Anthology. I nearly declined, but I felt that maybe I’d have an opportunity to be part of the solution, to tell a story that featured Asian characters that wasn’t bitter or angry. After some soul searching, I agreed. I was sent a few scripts to consider and already, my fears were put to rest. These were the kind of stories that I had been looking for. The one that spoke to me the most was Howard Wong’s Master Tortoise and Master Hare. As you might guess, it’s a retelling of the classic Tortoise and Hare fable set in ancient China. 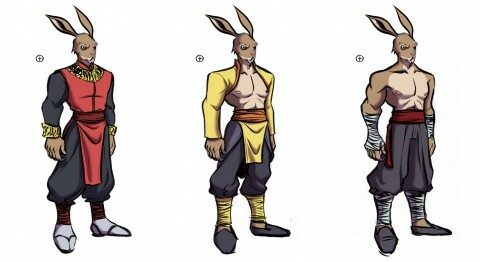 One of my biggest concerns was creating a unique look for Master Hare. 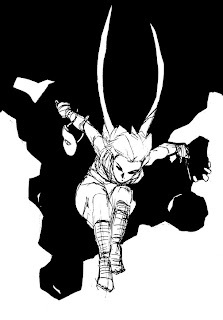 To me, the definitive long-eared action hero is Stan Sakai’s Usagi Yojimbo. I was afraid that my love for Stan and Usagi would creep into my Master Hare. 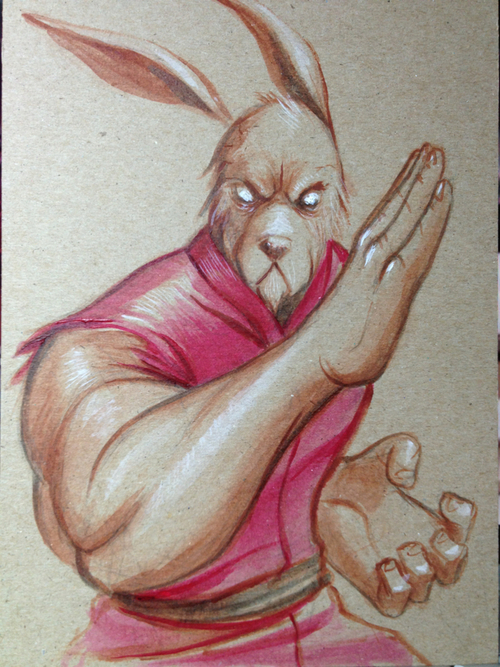 I hid all my Usagi books and my Stan Sakai sketchbooks and collected screen shots of Kung Fu villains and photos of hares. 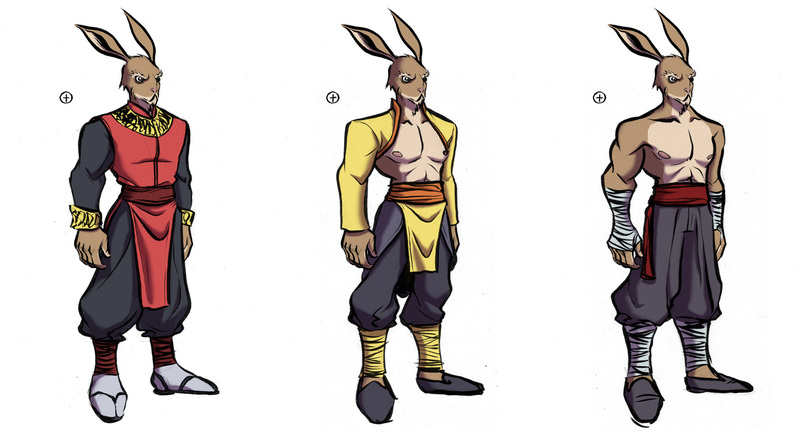 With Master Hare somewhat settled, I went on to design Master Tortoise. Again, I had to push out childhood favorites out of my mind. I drew a lot of Teenage Mutant Ninja Turtles when it first hit the airwaves in the late 80′s. Their head shapes, body contours, hands are all second nature to my drawing hand. I can TMNT with the best of them. So I made a concerted effort to lean on my reference photos of actual tortoises. Even so, you can see the TMNT influence in Master Tortoise’s limbs. I had an absolute blast drawing the story and playing with these characters. I was pretty pleased with the work and couldn’t wait to see how it fit into the rest of the anthology. I was absolutely elated when I read through the preview copy of Shattered that we creators were sent. This anthology is exactly what I had been looking for. Rather than spending time trying to shame the White Man for years of oppression, this collection concentrates on telling good stories that feature Asian leads. This is a comic I would be proud to share with absolutely everyone I know. It’s a much more subtle statement than the first collection. It’s not trying to shame you for ignoring the plight of Asians in America. It’s telling good stories that are universal in relate-ability and proving that you can do so while featuring minority leads. It’s a powerful statement and one of the reasons I think this is such an important work. Shattered is on shelves now. If you’re in the DC area and haven’t yet picked up a copy, you can come on down to Busboys and Poets on Monday from 6:30pm to 8:00pm for a signing. I suggest grabbing food at Chinatown Express before to stuff your face full of dumpling and noodle goodness. Her name is Tempest—and no, the moniker has nothing to do with Hurricane Sandy. The name, rather, is a nod to the storm that occurred the night she was kidnapped from her bedroom as a child. She’s a 13-year-old assassin, trained and raised by a covert organization that shaped her into a merciless killer. She’s also the character I created, with artist Eric Kim, for Shattered, the Secret Identities comics anthology that dropped November 6. What goes into creating a comics character? This was new for me. My comics background didn’t go far beyond thumbing through Archie and Ranma ½, devouring Joe Sacco’s Safe Area Goražde and Palestine, or watching My Neighbor Totoro as a teen on acid. But I had to start somewhere. I re-read some Ranma, the beloved gender-swapping martial arts Japanese manga series, and Love and Rockets, by alt-comics pioneers Los Bros Hernandez, as well as Shortcomings and the Optic Nerve series by Adrian Tomine—who illustrated this week’s excellent Sandy and prez election-related cover art for The New Yorker. The story began to unfold, along with Eric’s artwork. On the eve of her 13th birthday, Tempest is nearly the perfect assassin: a killer without ties to others, without even a sense of self. During a crucial battle, she kills her masked opponent. Once she discovers the face behind the mask, she realizes she has made a horrifying mistake and vows to never kill again. 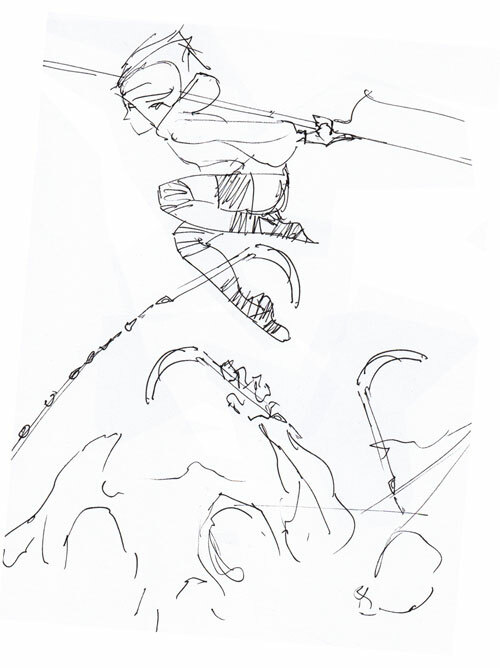 She escapes—as depicted in Eric’s early sketches. Like her namesake, Tempest is capricious, violent—and deadly. She is also a child, but a girl without memories. Like the assassin-for-hire in Wong Kar-Wai’s Fallen Angels or the real-life hit man Vincent Smothers, Tempest, too, attempts to shed her violent roots. But her upbringing makes that virtually impossible because the organization that trained her had wiped out her memories and all ties to the past. 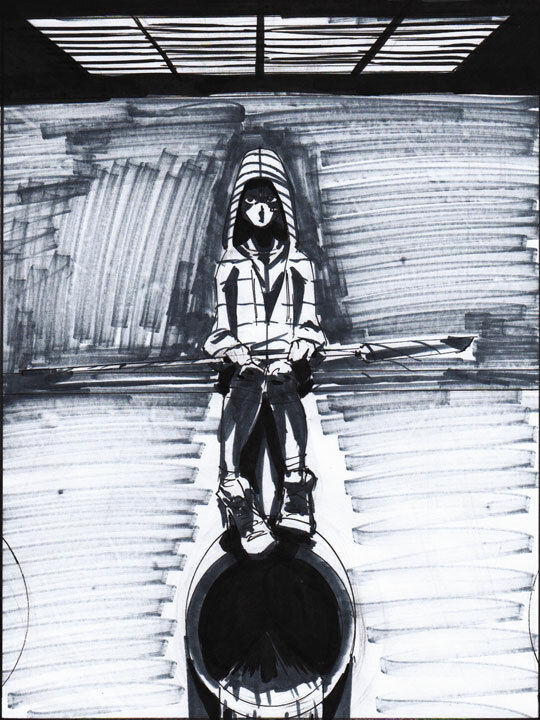 Pulling from influences that included Natalie Portman à la The Professional, manga series Path of the Assassin, and artwork by Koji Morimoto, Eric created this near-final sketch. 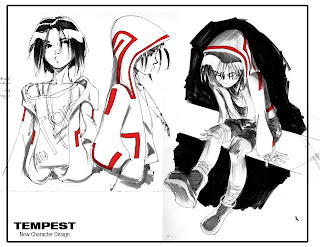 Tempest is “much like the future, which is globalized, chaotic, and made up of so many disparate elements that come together in an individual,” he explained. Eric and I went back and forth on Tempest’s weapon, mulling over a long list that included guns, machetes, twin batons, poison darts, crossbows, samurai swords, and ninja stars. 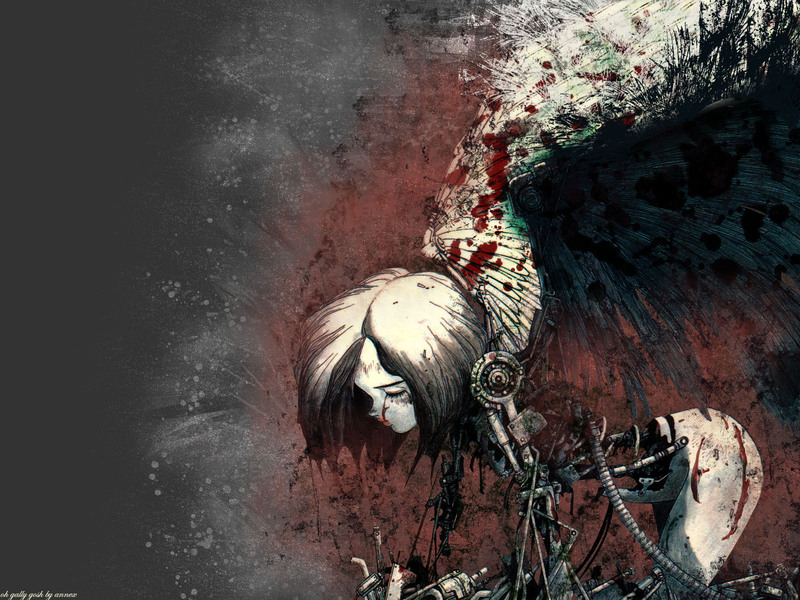 I pored over images of Battle Angel Alita, a stunning cyborg that, as my friend Alex Chee explained, eventually absorbed weapons into her body to become her own signature weapon. We studied weapons used by The Mossad, Israel’s intelligence agency. 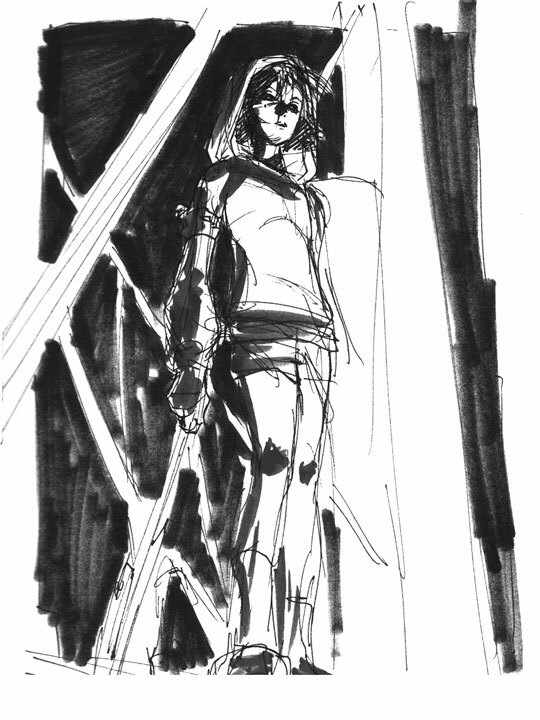 Here’s a sketch of Tempest with various polearms (staffs with blades attached). 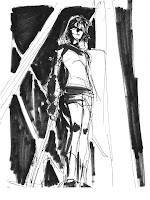 To see the final image of Tempest—and the weapon we chose—check out Shattered, the follow-up to the seminal Secret Identities: The Asian American Superhero Anthology. She’s also featured, along with several pieces by Shattered contributors, at a twin exhibit called “Monsters and Marvels” and “Alt.Comics” curated by Jeff Yang, Herb Tam, and Ryan Wong at the Museum of Chinese in America. For the time being, Eric and I are working on a Tempest series. The first story involves shoplifting, ping pong, graffiti, a botched kidnapping attempt, and a barn own named Meat. Stay tuned. Kai Ma is the editor of Open City magazine and managing editor at the Asian American Writers’ Workshop. Chinese female pirate story I wrote is OFFICIALLY PUBLISHED! Big thanks to Secret Identities (Follow them on Twitter: @SIUniverse) for letting me write a story for their recently published anthology. A few years ago, I was in a play called Songs of The Dragons Flying To Heaven (by the most amazing playwright, Young Jean Lee) and while on tour (Portland, Oregon & Rotterdam), I came across this story by Maggie Koerth of CNN. A prostitute from Canton from the 19th century married a pirate. Later on, after her husband died, she took her husband’s position as head pirate and lead her fleet to rule the oceans of Asia. The British could not defeat her and they finally offered her amnesty if she stopped her pirating ways. She lived till the ripe old age of 69 and died a wealthy lady who owned a gambling hall. This short report resonated with me so strongly and it spoke to my soul. I quickly forwarded it to Young Jean and she agreed that it was an amazing story. I folded the paper I had printed it out and put it on a my messy bookshelf and forgot about it. I met cartoonist Robin Ha while I was doing a reading of Dean Haspiel‘s comic at at a Brooklyn arts festival. We said mumbled hello to each other but that was about it. A few months later, I found myself sitting at Robin’s desk at her studio while she wasn’t there. The kind guys and gals of then cartoonist studio Deep 6 let me do whatever it is I do (a combination of writing, drawing and fretting over minutiae). I saw Robin’s artwork at her desk and was blown away. She draws like an old dude from Disney. She is very young but she is a master. She is also passionate about comics I would hear her rattle off all types of comix excitedly with the other master comix creators at the studio. As a thank you to Robin for letting me sit at her desk, I gave her a book of empowering women fables collected from around the world. I also gave her the story of Ching Shih. She too was blown away by it. 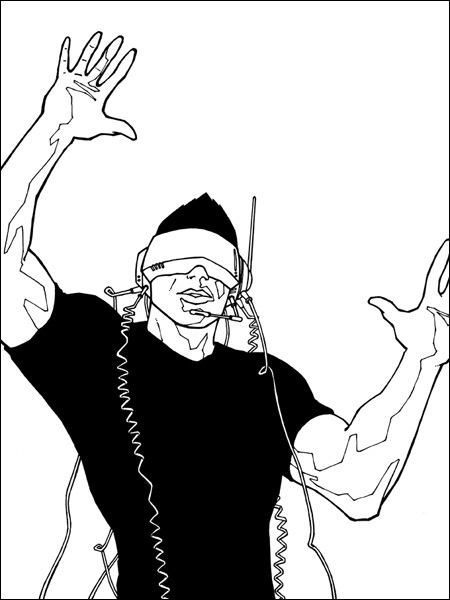 Later on I submitted the story to Jeff Yang’s second edition of Secret Identities comic book. 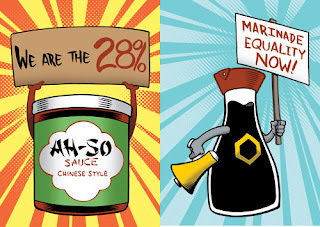 Secret Identities is a compilation comics by Asian American writers and artists. I find that when I’m passionate about a project, the story writes itself and I just get the hell out of it’s way. The first vision that came to mind was the moon reflected in the sea and a chopped head fell into the water shattering the placid moment. We giggled like schoolgirls with crushes and then discussed the pages. I wrote the story very quickly and shared it with Robin. Luckily she liked it. We went back and forth with Jeff on the story and hashed it out. 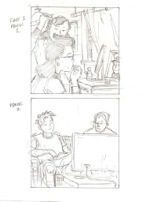 When the story was finally approved, Robin penciled the 6 pages in less than a week. Then she inked them and it was done before I knew it. Why is the story significant of Ching Shih? Because as I said in an earlier blog post, stories like this are non-existent for Asian women. Usually stories about Asian women talk about major sacrifice and suffering and never ends well for the woman. You may not think much of this but if you follow Joseph Campbell who believes in the hero’s journey and myth, that stories are created to be powerful guides for people, then you can see why this story is significant. People need stories to live out their lives and express themselves. In ancient times stories were models by which people could overcome great adversity and conquer external and internal demons and dragons. “The very experience of being alive.” Joseph Campbell. People used these stories go beyond what hardships life had presented them. Sitting around the fire sharing stories is replaced by Hulu, iPhones and sometimes (though rarely) movie theaters. We have corporate story tellers telling our kids stories. These are modern story tellers sit around a table in an office, wearing suits and driving porches. They are making merchandising deals with McDonald’s. Their goal is to make money. This is not a bad thing in and of it self but something to be aware of. I’d rather be a aware of the stories I allow in my consciousness and the stories I create to be beneficial and empowering. This is the very reason why in my comedy web series, SuperTwins, the male Asian-American character, Kai was a masculine jock, was good with the ladies and had faults but ultimately was a good person. Most stories presented to girls are not very good ones. There are no stories of matriarchal societies, Athena or the Amazon Warrior Women are replaced by Sleeping Beauty, Snow White and Cinderella. The results can be silently devastating. The above mentioned fairy tales are banned in our house. I decided that the stories I want to present to my four year old daughter are the ones that will lift her up. The stories and archetypes that remind her that she can do whatever she sets her mind to, not what society dictates her to. She can be a leader, she can be fierce, she can be independent. I suppose I do this also to remind myself as well. Has a story and/or character ever influenced your life? If so, drop me a line. I’d love to hear what you have to say. When I was contacted by the Secret Identities crew to contribute a story to their second graphic anthology, Shattered, I jumped at the chance. Then when they sent out a call to help with some inking chores I again jumped at the chance and got to ink a 10 page Shaolin monk vs. zombies story called Qi Lai!, pencilled by Dheeraj Verma and written by Roger Ma (Zombie Combat Manual). Then when the SI guys reached out to see if someone could help with the tail end production of the book to assist prepping files, paginating, tracking edits and sending it off to The New Press for final proofing I was all in. Now, I don’t write this to make you think, “Boy, those guys sure needed a lot of help! What a bunch of lazy drunks!” No, I wrote it to point out what a massive and coordinated undertaking it was to put this book together. To make a point that ALL the people who took part in this book did so on top of their already busy schedules and found the time to contribute because they understood the importance of this project and have a passion for not only sequential art but of the overall mission of Secret Identities. All this despite the fact that they actually are a bunch of drunks. Just not lazy ones. 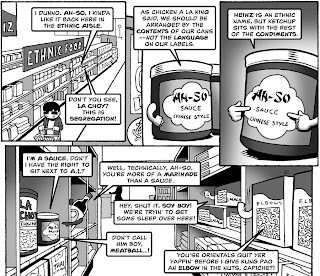 My story, Occupy the Ethnic Food Aisle, is the touching story of a jar of Ah-So Chinese barbeque sauce struggling with its segregation from the rest of the “normal” food in the supermarket. 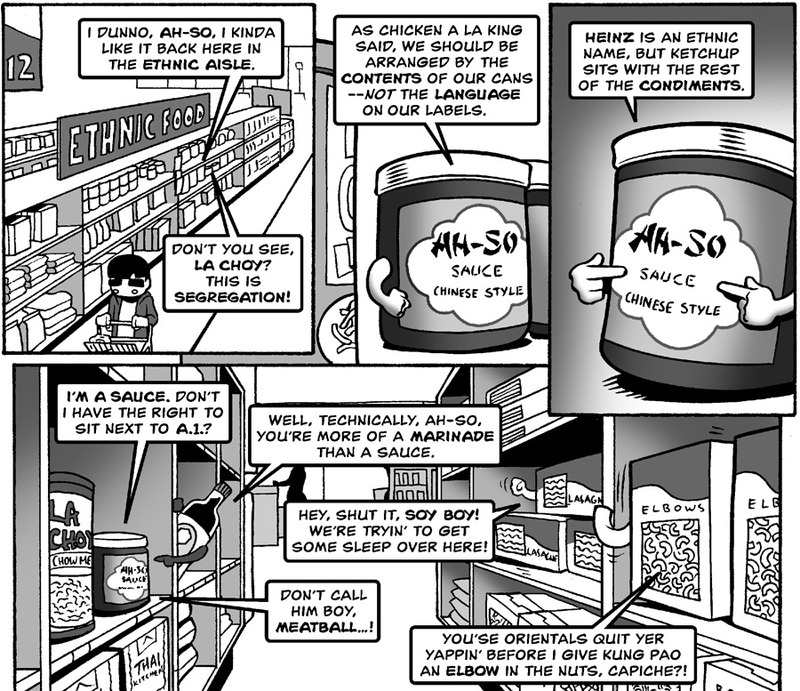 As it questions why it can’t be shelved next to other sauces and condiments like ketchup and mustard, it is challenged by the manipulative and opportunistic Nissin Cup-o-Noodles who holds a secret to Ah-So’s past that … well, you’ll just have to pick up a copy of Shattered to find out. Asian American comic book anthology “Shattered”, in stores this week! The Asian American comic book anthology “Shattered” is in stores this week, and widely available for order. 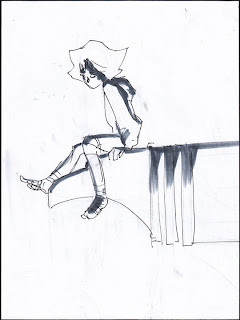 Added to my bucket list: a character concept of mine is included in it, illustrated by acclaimed graphic novelist G.B. Tran, author of Vietnamerica. A bunch of us are doing special posts about Shattered. Here are some notes regarding the genesis of this project, from me and G.B., as well as an exclusive look at some sketches and early process that G.B. was gracious enough to send to me. I was asked by my friend Walidah Imarisha, a fellow geek writer of color, to submit work to a radical sci fi anthology she was putting together. The opportunity lit a fire under me, to write out a concept I had stewing in my brain for quite a while: an apocalyptic tale where Asia and the Middle East are blamed for a mysterious zombie outbreak that devastates middle America, causing the East and West coasts, and Canada and Mexico, to wall off Middle America. Though no one knows or claims credit for the outrbreak, Asian Americans and Arab Americans are put into hard labor camps in the middle of the country, to both incarcerate them on suspicion of being traitors, and also to draw the zombie hordes away from the surviving populations on the coasts. I had been meaning to explore these themes for some time. As a lifelong fan of sci fi, cyberpunk, and fictions involving utopia/dystopia, I often encountered work written by Western writers that envisioned China or Japan as a dominant global superpower, or the ones responsible for causing some type of apocalypse. However, race was often unexplored in those fictions, and while there was no shortage of Asian cultural appropriations, there was always a lack of actual Asian and Asian American characters. If history has taught us anything, it’s this: if Asia becomes a superpower, or causes some catastrophe, the ones who will suffer the most from it especially in America, is Asian Americans. We would receive none of the benefits, and all of the blame. The good news: Walidah accepted my submission. The bad: the publisher fell through. 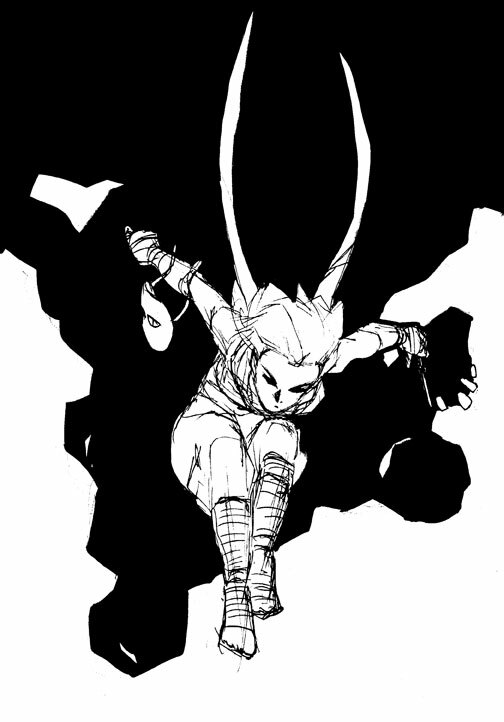 The good news: fine fellows Keith Chow and Jerry Ma contacted me and asked me to submit a character concept for their new Asian American comic book superhero anthology, Shattered. Even better: they paired me up with G.B. Tran, the artist and author of a book I deeply love and respect, Vietnamerica. Imagine you’re me: a spoken word poet raised in the hood who grew up addicted to Chris Claremont’s run of X-men, grew up wanting to see more substantial Asian American characters in comics, then I get to be included in an anthology – *and* my concept is illustrated by G.B. Tran? It’s a dream come true. 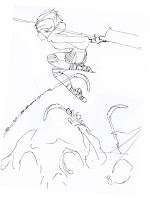 Here are some concept sketches and thoughts from the man himself: G.B. When pal Jerry Ma, art director of SHATTERED, asked me to contribute to their next volume, my wife and I had just welcomed into the world our first child. Consequently, my immediate answer was, “Hell no, I’ve got diapers to change!” But ever persistent, Jerry kept asking and told me more and more about the writer he wanted to pair me with and his concept. Whether it was because of immense lack of sleep, learning more about Bao’s great work, or more that his idea was a fun twist on your typical post-apocalyptic zombie survival story, I quickly realized this was something I wanted to be part of. Besides, when else would I get a chance to draw a zombie getting its head blown off by pho-lovin’ freedom fighters? It was exactly two years ago from today, funnily enough. My very first encounter with the writer/artist and former DC and Marvel editor wasn’t at a convention or store signing. It was at a very crowded cocktail fundraiser at a Manhattan art gallery for the Asian American Arts Alliance, a nonprofit community organization. I happened to be invited at the last minute by Ken Chen, the Executive Director of the Asian American Writers Workshop and a lifelong comics nut ( I believe he did his masters thesis on Chris Ware). Larry was good naturedly circulating anonymously in the crowd until Ken spotted him and introduced us. It came out in the conversation that in the ’70s young Larry had been part of the Basement Workshop, an arts activist and social justice group which spawned many of the New York City Asian American arts nonprofit organizations you see today. As someone who worked in the Asian American non profit sector for years, I was tickled to death to find we had several friends in common because of this. Larry, who is known for his work on GI Joe, Bucky O’Hare, Elektra, Wolverine, is a pioneer for fighting racial and gender stereotyping in comics characters. 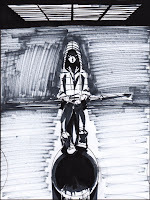 He has a long history of creating unapologetically strong female characters like G.I. Joe’s Scarlett and pushing characters like the ninja Storm Shadow beyond the typical villainous Asian caricatures of the time. A genial and charismatic guy, he had a neverending stockpile of amazing and entertaining stories of those days. We had a terrific conversation. Fast forward several months. My original pitch in collaboration with the very talented Toronto based artist Craig Yeung had been accepted by the folks at SHATTERED but I was told there was another story with some similar themes. Could I change the setting somehow? I didn’t really have any good ideas. In the meantime the New York University Asian Pacific American Institute selected Larry as their Artist-in-Residence and in January of this year I was invited along with others like Greg Pak (Hulk, Vision Machine), long time letterer letterer Janice Chiang (Archie, Smurfs) and SHATTERED Editor in Chief and Wall Street Journal columnist Jeff Yang to participate in a blog session about the Asian American experience. Over dinner several ideas and personal anecdotes were thrown around. Larry started talking about something that sparked an idea in my mind. His parents had been incarcerated in the infamous Japanese American internment camps in California during World War II. I knew SHATTERED would be distributed to schools and public libraries and that this subject should be in the Anthology somehow. It was perfect. I quickly rewrote the story and emailed Larry to thank him for the inspiration. His response was pretty short and immediate: Who’s drawing it? My heart stopped a little reading that. I’m not sure of the last time anyone has seen Larry pencil a story. I immediately sent him the script and held my breath. His next email said he thought he might me able to do it in collaboration with Craig. Craig has inked quite a bit including Runaways for Marvel. And with Janice Chiang on board to do the lettering, it worked out perfectly. Craig ended up doing the pencils for my original story which became the title story for my own first short story anthology Girls Night Out through Alpha Girl Comics. And Larry was the easiest guy ever to work with – even offering to redo any panels if I wanted. SHATTERED: The Asian American Comics Anthology published by The New Press is available Nov. 6 through Amazon, bookstores and comic stores and also features the work of longtime creators like Cliff Chiang, Sean Chen, and Bernard Chang. Volume Two in the Secret Identities comics anthology series has finally dropped and is now available. I contribute a few pages, illustrating writer Jamie Ford’s EC Comics pastiches. Here’s one of my mock covers that appear in the book, done in classic Tales From The Crypt style, or as close to it as I can get, at least. I get a kick out of the idea of “Chuckie Chan”. Created with Sketchbook Pro and Photoshop. My fellow comic book geeks! Next week marks the official launch of Shattered, follow-up to the groundbreaking Asian American comics anthology Secret Identities, from editors Jeff Yang, Parry Shen, Keith Chow and Jerry Ma. While the first collection focused on the conventions of traditional superhero comics, this new volume explores some darker and edgier genres to subvert and shatter Asian stereotypes. The book features an impressive lineup of contributors, including leading comics creators Bernard Chang, Sean Chen, Cliff Chiang, Larry Hama, Sonny Liew, Takeshi Miyazawa, Christine Norrie, Greg Pak, G.B. Tran, Gene Yang and more, as well as folks from the film and literary world like Tanuj Chopra, Michael Kang, Jamie Ford, Gary Jackson and Bao Phi. I managed to slip something in the book too. 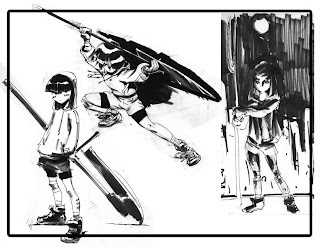 I had the great privilege of contributing a short piece for Shattered’s character gallery, with the visuals supplied by the artist/editor Jerry Ma. My character: Angry Asian Man, of course. I actually have to thank Jerry, who had been bugging me since the first anthology to contribute a character. You’ll have to pick up the book to read the full text explaining this character, as well as all the other great Asian American comic stories in the anthology. 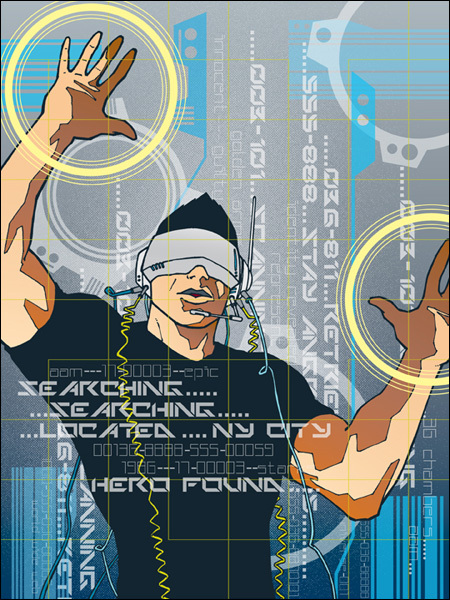 Secret Identities, Shattered: My Relationship with Comic Books, and the Genesis of PUSH. Order your copy of Shattered: The Asian American Comics Anthology from Amazon. For further information and updates about Shattered, go to the Secret Identities website here and the Facebook page here.